· A woman who is uprooted from her home of 30 years when her husband is transferred to Chicago. · She suffers a life changing event. 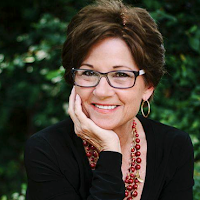 · I wanted to write a romance novel about a middle aged woman who had a life changing event. Something that involved family and friends…a family saga. Ø Did you have to research for this novel and if so, why? o Olivia is middle aged, and has three kids like I do. · I wrote this book and series based on a dare from two of my best friends. I’d been to an open house and the house inspired me and was the muse for the house Ash Harper built. o Olivia is a strong woman, who has a temporary setback, when she discovers her husband has been unfaithful. For a short time, she’s broken and scarred, but steps Out of the Box and has her Awakening. o I wanted to write about a woman who faces the same issues we all do. We’re not perfect. We don’t have perfect figures, we have insecurities and we all want romance in our lives. · Hopefully, Olivia will give the readers inspiration. It’s a seasoned romance about second chances at love and life. · Never say never, and never give up. Ø If it is a part of a series, what’s the series name? · Out of the Box is the series name and is a three book series, all of which are published. Ø If it is the first in a series, when can we expect to see the next book published? · Out of the Box Awakening is the first in the series. · Out of the Box Regifted (Book 2) and Out of the Box Everlasting (Book 3) are also available for purchase. 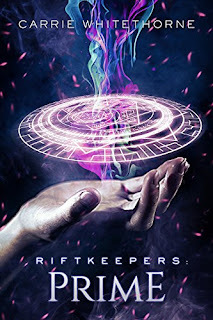 Ø If it is a part of a book series, can it be read as a standalone or do you need to read the entire series to experience the full realm of the tale? · It is recommended to read the entire series. 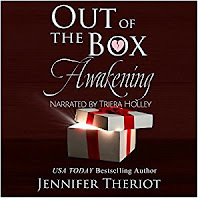 Out of the Box Awakening is the first in the series. 6) Where can readers connect with you and purchase your book? o What is your name? o Are you a fictional or historical character? · Fictional, however there is a little bit of me in everyone. o What should we know about you? · I am honest, hardworking and strive to be what my family need me to be. I love fiercely and freely, loving my friends as though they were family and would do anything to make them happy. o When and where is your tale set? 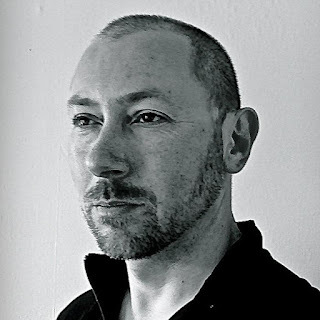 · The north west of England and Arran, Scotland. o What is your personal goal? I mean, what do you ultimately want? · To keep my family safe and happy. While I’ve never considered a romantic relationship before, it would be a relief to have Callan back in my life in that respect. I can’t explain it, but I’ve missed him. o What is standing in your way? What conflict(s) do you face? · Magical abilities that I never believed could exist. While learning to understand them, I must maintain a normal family life despite the changes and challenges we face. 3. How do I get a copy of your book? o What is the title or working title for this piece? o Is it available now or when can we expect to see it released? · Available now in theKindle store. 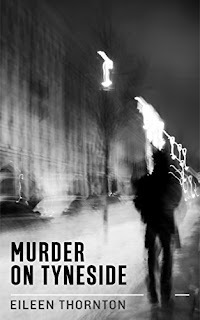 · My latest published novel is Murder on Tyneside, a sort of cozy murder mystery that is set in my hometown. · The story tells of a widow who suddenly decides to revisit the area she was born. Not having been back to Tyneside since her family moved away when she was schoolgirl, she was interested to see the changes, which had taken place over the years. · But suddenly, jewellery goes missing from the hotel where she is staying and the police are called in. As it turns out, the DCI, who is in charge of the case, attended the same school all those years ago and they rekindle their friendship. · Agnes, a Miss Marple fan, decides she wants to help the police solve the thefts, but when a body is found, the DCI becomes concerned for her safety. · There are two main characters – Agnes Lockwood, the widow, and Alan Johnson, the DCI. Though having said that, I suppose Agnes is the real main character, as she always insists on having the final word. · I suddenly decided to write a murder mystery instead of another romance novel. I think I wanted a change, and a murder seemed a good idea. · Once that was decided, I felt I would like to set it in my hometown as I know it so well – even though I haven’t lived there for many years. · After all, it is said that you should write about what you know. · I didn’t really need to do much research, as I kept it quite light-hearted. I didn’t want to dig deep into how police investigations progressed. Anything I needed to know, I simply looked up online. In most cases, it was to find out whether certain things in the Tyneside area were still open to the public. · I think I was only surprised to learn that the towers supporting the Tyne Bridge were no longer open to the public. I’m sure a number of people would be interested to see the structure inside. · As the novel centered on a woman, I felt she needed to be strong and have a mind of her own. Someone who wasn’t going to be fobbed off by anyone – not even the police. Agnes was the right person for the story. · There were times, when I was floundering, she took over and showed me which direction she wanted the story to go. Don’t you just love it when that happens? 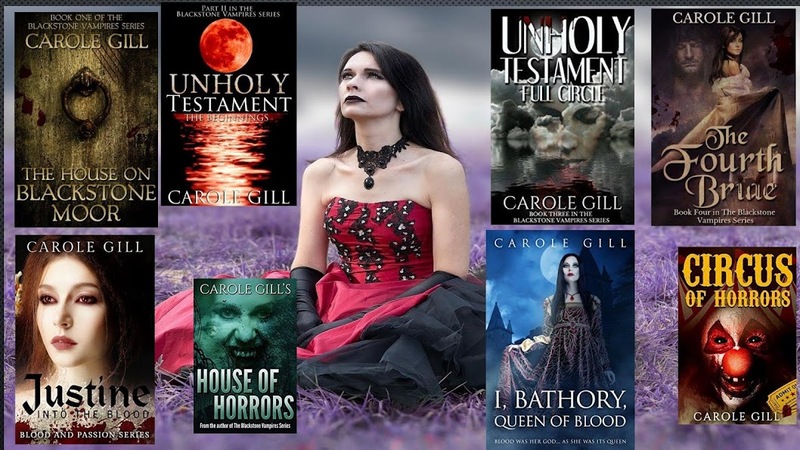 · I would simply like the readers to know that I really enjoyed writing this novel. I loved writing about Tyneside. There were times when I could see actually myself in the scenes as the story unfolded. · Murder on Tyneside was published at the beginning of 2017. Ø Do you have a link as to where readers can buy it? · I do hope they enjoy it. Thank you, Julie, for giving me the chance to talk about my latest novel. on FREE promotion for a limited time only! My Interview with JOE COMPTON! Being an author, I understand the demands on a writer’s time. I am always grateful when I’m able to meet with my colleagues and introduce them to my readers. 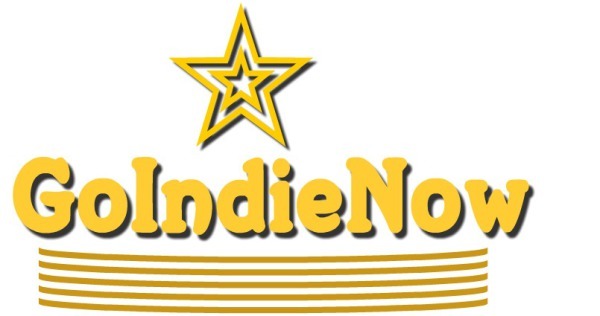 I am especially excited for them to learn who you are as you also own/host/maintain GoIndieNow – not only is this a wonderful tool for showcasing authors and books, but it is also informative about the indie publishing world for readers and writers alike! 1. Please tell us how you’d describe yourself? I am a creative, passionate person who loves to be involved in the arts and loves everything about the arts. 2. This first set of questions will be focused on you as a reader. As a reader, what do you look for in a book? Is it the cover, blurb, or topic that will draw you to pick up a novel? Combination of the cover and blurb. I think the cover grabs me and the blurbs lures me in. What about reviews – do they matter? Oh yes. I think both as a reader and a writer you can gleam a lot from them. Do reviews affect your decision in whether or not to read a book? Why or why not? Somewhat. I mean if there is a pattern of the same reviews, saying the same thing, whether good or bad, I do pay attention to that. I also love to support books I find a lot of trolls for, to me that probably means the books are pretty good because those are jealous bitter pills who can’t handle people can write like they do. Has your view of reviews changed since you became a published author? If yes, how and why? In your opinion, what makes a book great? I bet a lot of people say strong characters, and to a certain extent, I agree, but I love books that challenge me, that don’t treat me like I am stupid, that have deep sub-text and allow me to discover things about the characters instead of getting these rich descriptions. What do you hate to see in books you read, and has this impacted your writing choices in anyway? If it has, how? Over simplification. Look, if you have to explain it to the umph degree, I won’t enjoy being taken along for that ride. I will bore of it real quickly. 3. For this section, I would like to discuss you as a writer. What motivated you to not only write, but to publish? It’s the only thing I was ever naturally good at. I have been writing and telling stories forever. The publishing part of that seems like the natural progression in my evolution as a writer. Did you try to go the traditional route, querying literary agents? Why or why not? Yes, I was there, in a room with a contract. It’s a very long story I don’t really want to type, and that I have told in interviews before, but I was essentially given a choice, do it this way or not at all. I chose not at all until self-publishing became a viable way to get your work out. 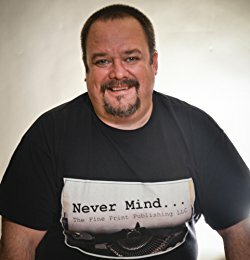 What lead to your decision to not only self-publish but to start your own press: Never Mind The Fine Print Publishing LLC? Because of what I went through with my traditional publishing experience. I knew I wasn’t alone, and I just think there is a lot of great work being ignored or being tampered with because Publishing houses feel like they can, or feel like they have the magic formula. Change is not something that the publishing industry embraces very often. So I like poking the bear and seeing what we can do to lead that charge to making this industry evolve and getting these incredible, talented writers out to the world. Do you only publish your work or do you have other authors signed to your label? Right now, I have only published my book, but that was the starting plan. I do have intent on expanding. Can you give us a high view of what it takes to start your own press? It seems like a daunting endeavor with a lot of responsibility. Perseverance, acceptance. You have to accept there is a lot that goes into publishing a professional product, you have to not only respect that process but you have to accept that you are going to spend money and make mistakes. Once you reside yourself to those 2 principles, the rest is learning and trusting your business savvy. 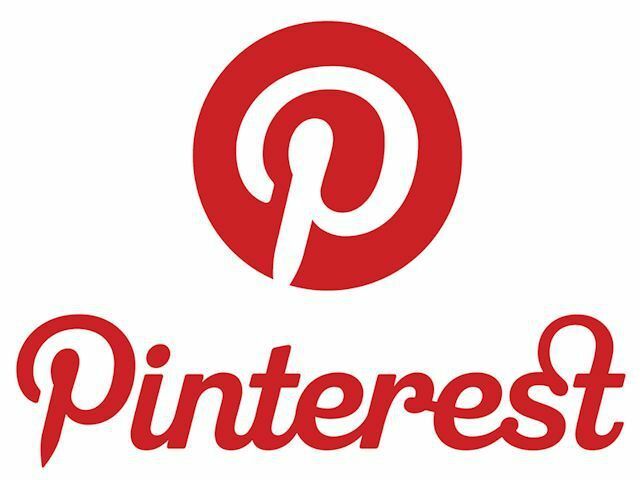 Do not skip a step from incorporating your company to getting marketing materials. Budget for everything realistically, don’t try and cut corners if the product will suffer or if your sanity will suffer. I would also say trust your out-of-the-box ideas, stand behind them, and let it be what it will be. You will make mistakes and you will have successes too. How does your press handle covers and editing? Do you do this yourself or do you outsource? Oh no, I hire professionals in that field. Do you have a street team for your press or does GoIndieNow fill this need? I do not have a street team, per say, and GoIndieNow and my writing are really truly 2 separate things. I don’t have a street team though because i have only published 1 book. I think a street team is much more effective for someone who has developed a fanbase following. My book is not a book that can really do that. Do you use beta readers? If so, how do they make a difference for your book(s)? What advice would you offer a novice writer about beta readers? I did. THEY MAKE ALL THE DIFFERENCE! No matter if it’s just 1 or 2, they always seem to catch something you didn’t see because you are so close to the material, or have read it over and over. You need a fresh perspective and fresh eyes. While you may write for you, if you want to make a living at this, you have to accept that an audience will have an opinion and will have their own thoughts on your subject matter. It’s beyond valuable to listen to that, it’s good business sense. 4. There’s a big controversy in the industry about indie vs traditional publishing. I’d like to hear your opinions on this topic. I feel this is a good lead into discussing GoIndieNow (which will be covered in the next set of questions). Why do you think this is such a hot topic? It’s hot, and will always be hot, because traditional publishing is always evolving, growing into smaller presses, niche publicated sections, and if they can show you a door that you can enter and not be labeled one way or the other it’s hard to say no because this is a hard way to make a living. This is a lot of work and most people have the impression that Traditional publishing will alleviate a lot of that burden. The days of Self-published authors being outcasts is gone to a certain extent, but now it’s an over-saturation of those flood gates opening. Having a traditional publisher behind you means you were accepted by industry standards, and thus, you garner instant credibility. Which of course is car salesman trick. Quality, no matter where it comes from, is still always quality. The question is how much of that do you want to share when it comes to success. That’s the true difference. Why did you decide to go Indie over traditional? Was it related to this debate in any way? I never thought of publishing after that experience again, and then, I discovered self-publishing as it became viable. So I dusted off the manuscript and got it out there. In your opinion, what are the obstacles in the way for being an Indie author? The truth is, the only obstacle is YOU. I am a firm believer in ‘you get what you put into it’. I think this day and age, we see instant fame and fortune as this ‘why not me’ type ideal. When truth of the matter is, you don’t want that. That’s a ‘flash in the pan’ type success. You want long term, sustained, ‘I do this now for a living’ type success. Most of us do anyway. So it takes a lot patience, perseverance, and above all, a lot of effort. Those will equate to success, however you define it. There is no shortcut, there is no lottery ticket, it’s all on you. Some people like that and thrive, some don’t. We all get frustrated, depressed by results, hurt by lack of interest of response at times (maybe most times), but you have to weave through it and know there is always tomorrow, and you will have days you won’t feel that. Then, before you know it, those days of yuck, get less and less. Stephen King goes through it. He has spoken about several times. I think most would agree he’s a success. What are the benefits you feel Indie authors have? I know control and freedom are the most common answers to this question, but I propose it is a different benefit that drives us Indies….you find out who you are and what you are made of, as developing human beings. There is nothing more valuable than being able to test yourself and find yourself in this process. You will because, like I said, there will be dark days and light ones too. Your effort will be tested, your patience will be prayed upon, and your fortitude will be stretched. However, if you stand your ground and stay upright through that, you will not only be a better artist, better writer, but a better person. I don’t know anybody who doesn’t want that. How do you think this will shape the future of literary publishing? It already has to a certain extent. Like I said, Indies, good indies, have forced the Big 5 and all its minions to change their approach, to evolve. They lose more battles daily now than they ever had to fight. If they don’t change, they will die like the music industry did. They saw that, got scared and now, you have a real choice on your hands because those meetings have changed. Not like when I went in there. That’s a great thing because it also has spawned and validated who aren’t driven by greed but by content, and brand, and what they represent is who they are. It’s not about just making money anymore. Does any of this have an impact on readers, do you think? Why or why not, and how? Yes, it does. If for nothing else, you have more options now. Moreover, all writers have discovered they have to show you who they are, not just what they write. I think that is helping Indies understand how much they are needed in this landscape. 5. Let’s talk about GoIndieNow!!!! And the questions of the day – WHAT IS GOINDIENOW? It’s an Online platform that fosters, highlights, and supports Indie Artists of all art forms. We do shows on youtube and have guest blogs, live panel discussions, q and a’s, and give Indies an avenue to connect with other Indies and a new fan base. What services do you provide to authors, and how do they make a difference in sales, promotions, and for readers? The most direct way is being interviewed through my shows. 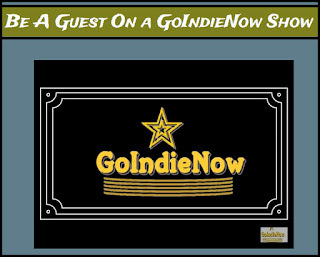 I do a more in depth personal interview for my flagship show, “It’s time to Go Indie Now.” Then I do another show that is focused solely on your current new release, called Coffee Break. For the flagship show, I also do a segment, called New Releases, in where I do a little teaser trailer vignette for new books submitted to me for the show. We also have a live panel discussion show we do once a month, and we talk about Indie Issues. As we grow, so will the shows we do, and so will the opportunities for Authors to be seen and sell. How does GoIndieNow make a difference for you, personally? I have to admit, I started it for selfish reasons. I wanted all my artist friends in one place. I know so many authors, filmmakers, and musicians and I wanted a place that fostered and supported their creativity. Indie Authors do not realize how great they have it. Our community is fantastic, supportive,and it resonated with me. I have experienced the cold side of this art business and so have most of my filmmaking and musician friends. So I wanted to share the love I had been feeling for the Indie Author community and try to bring us all together because we can help one another and that’s happened actually. I never thought, though, that this would become my calling. I love what I do. I don’t make any money doing it, but honestly, it’s not about that right now. I would love to be able to do for a living and be GoIndieNow 24/7, but for now, I will give all the time I can to it and be happy with where it is going, as I work to make it more visible. I mean, truth be told, that helps not just me, it helps everyone who has been interviewed for the shows, submitted a new release, been on a panel, and have written things for our website. The more people see it and know about it, the more it helps get those contributing Indies sales and fans. I love that collaboration. I hope more come and be a part of it. What made you decide to pursue this amazing endeavor? It is quite an undertaking; extremely demanding on your time and resources. As I mentioned, I did it so all my artist friends can meet in one place. I like production and producing things. I like thinking out-of-the-box and just going for it. You can’t have fear in what you do as an artist. You can’t have success without failure. “You will miss 100% of the shots you don’t take” So I take shots. I really love doing this, and it really has just started, so when it rounds into form, wow, I can’t wait. 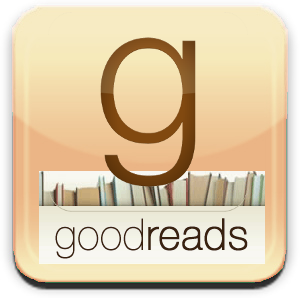 Do you feel that GoIndieNow can help to spotlight an author and connect them to readers better than something like Facebook author events? Why or why not? I won’t say it’s better. I think it’s a companion to that. I think you got to do everything and anything to get seen and find a way to connect with readers. It’s certainly another avenue and a different one. So why not try it. Why not be a part of it. Something that will be a little more prevalent in using GoIndieNow is that it will be there for as long as it can be and not hard to find. Where as, a facebook party, or something to that effect, is immediate gratification or not. So if you are thinking long term, GoIndieNow will certainly be a very viable tool for you. Not only that but it will present you to the world, not just your work, and thus, having that personal connection will give readers a much better feel for what you are doing and are about. They will feel connected to you. That last questions leads into the real heart of what I seek – what is the purpose for GoIndieNow, and why should people join it? The purpose is to get you seen and to help you make connections you may never have known you can make. By building this community, we are fostering relationships that can only benefit you. You know the comfort in how others deal with issues, how others have been successful, and them sharing that, that’s an invaluable tool. It’s free, for the most part, to take advantage of that. If you don’t, that’s your choice, but I don’t see how you can lose in doing so. As an author, how does this service benefit me? It gets you seen and you are seen long after. As a reader, what can I get from it? It introduces to a world of indies everywhere, and hopefully, makes you realize no matter where you are there are great artists near you and who want to entertain you. A lot. I have started SundayFunday where we engage as artists being artists, we are going out into the world and covering events, and I have a couple new show ideas that will connect readers and authors alike and really give Indie Artists a bigger platform to stand on. We also reduced our advertising rates so that Indies can afford to take advantage of more prominent spots and get some personalized touches from us. 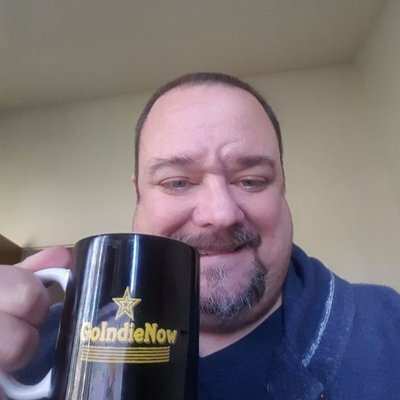 What are the best ways for people to get in contact with you or to get involved with GoIndieNow and Never Mind The Fine Print Publishing LLC? I am working on the sequel to Amongst The Killing, called We The Moral Majority, and I am starting another series about Fate and Destiny. Thank you again, Joe – it is always a please! Thank you for your time and for all you do for readers and writers to connect through great stories! 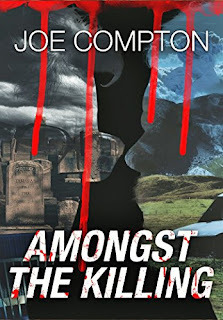 Don’t forget to check out Joe Compton’s novel, Amongst the Killing!! WANT TO BECOME FRIENDS OF GOINDIENOW on FACEBOOK? INTERESTED IN WATCHING THE VLOGS on YouTube? There are live author panels discussing pertinent industry information, coffee breaks with authors, and so much more! If you like what you see, be sure to subscribe!